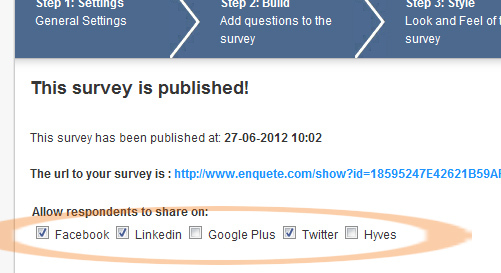 Enquete.com - Enable Social Media Share Links On Your Survey. It is possible to place social media share buttons of popular social media networks on your survey. 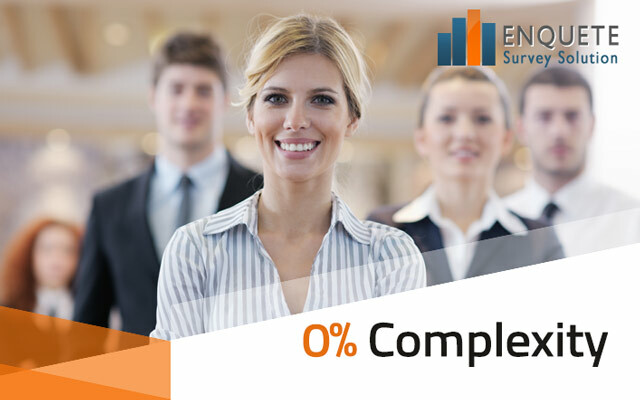 One of its major advantages is that it gives your respondents the option of sharing your survey link on their various social media networks. To enable the social media icons on your online survey, go to your Survey overview page by clicking on the ‘Home’ button on the left-side menu. Then you click on the social media icon of the online survey you would like to add the social media buttons to. You will be directed to Step 5 of the survey creation process. 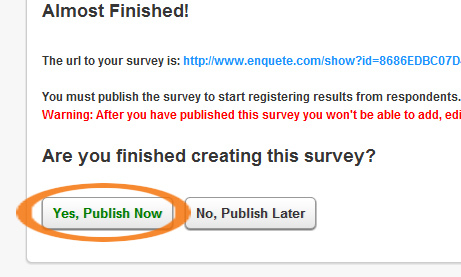 First make sure that your online survey is published and if not, click on the publish button you find on this page. You can only enable the social media icons for an already published survey. After your survey is already published, on this page you will be presented with checkboxes of various social media networks we support. Put a check on the social media network you would like to activate a share button for. The buttons will be made visible on the right hand side of your survey once they are checked and that is all you need to do. For further question please contact us via our contact form. Here under is a video tutorial that also shows you how to do this.